Our infant care program is purely focused on making you and your infant have the smoothest transition into child care possible. 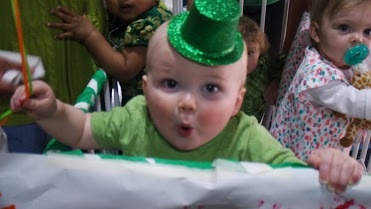 Our highly trained staff has nothing but love to give to your infant. Daily routines are purely based on what works best for each child individually. Everyday at pick-up, you will receive a daily sheet that outlines everything your child has done throughout the day; when they ate, how much they ate, diaper changes, toys they played with, nap times, things they need, etc. The toddler care programs provides an active hands on learning experience for children ages 12 to 24 months. Children are introduced to various activities that will promote their mental, physical, and emotional development. All programs adapted to meet the needs of each individual child. 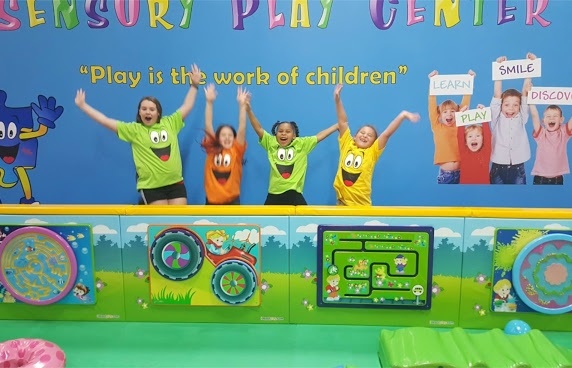 Stimulating learning environment offering teaching opportunities throughout the Puzzle’s facility – in the Art Studio, Inflatable Fun Zone, Theater Room and more. 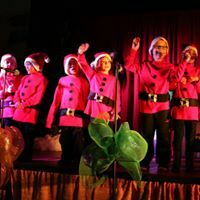 Child’s Choice Curriculum – children can adapt playing and learning environment to fit their interests. 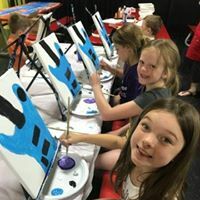 Group Activities: Story Time (students communicate through language), Sensory Time (students develop fine motor skills), Art Time (students develop hand/eye coordination), Motor Skills Time (students develop their muscles through movement). The two’s program provides an active hands on learning experience for children ages 12 to 24 months. Children are introduced to various activities that will promote their mental, physical, and emotional development. Numbers: Introduce numbers 1-5 through games, songs, and hands on activities. Colors: Introduce 8 basic colors: red, blue, green, yellow, orange, purple, brown, and black. Shapes: Introduce 4 basic shapes: circle, square, triangle and rectangle through games and puzzles. Small Motor Skills: Improve hand coordination through play using a variety of materials: play dough, puzzles, finger plays and art. Large Motor Skills: Involve the children in activities such as running, hopping on two feet, and climbing. Language Arts: Improve language skills through play, listen and discuss stories, and become aware of general body parts. Weather/Seasons: Introduce concepts of what we wear and why. Introduce characteristics of weather, wind, rain, snow, and sun. Art/Crafts: Make simple crafts and participate in activities using a variety of materials. 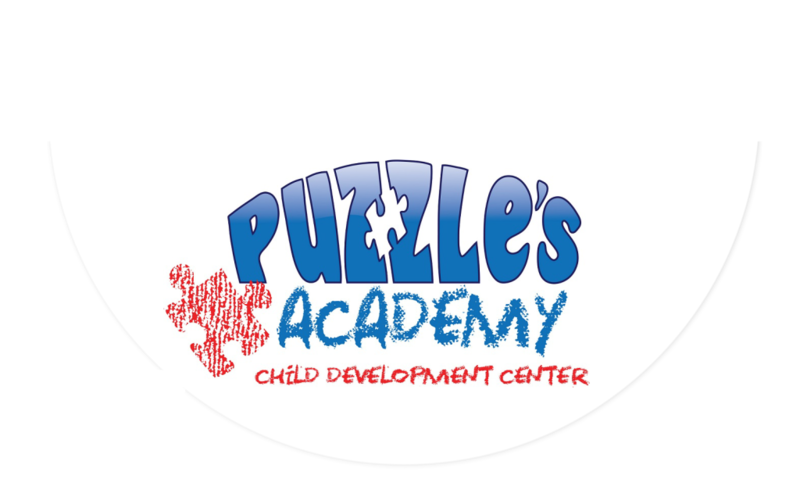 Our Puzzle’s Academy pre-school Louisville has bright classrooms and large indoor playgrounds that create an atmosphere for learning where preschoolers engage in age – appropriate activities related to a weekly theme and curriculum developed by our Kentucky certified teachers. 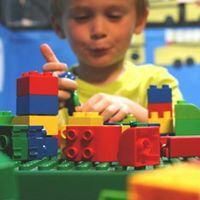 The classroom offers learning centers for math, science, dramatic play, creative art and a library that are filled each week with theme related materials to engage children at each stage of their development. In addition to the learning environment in the classroom Puzzle’s Academy also provides opportunities for our Pre-School and Pre-K children to see the world around us by scheduling visitors from community helpers through out the year, as well as taking field trips to local farms, museums, theatrical performances and the zoo. Numbers: Begin to recognize numbers 1-10 and simple counting of objects. Colors: Begin to recognize and name 8 basic colors: red, blue, green, yellow, orange, purple, brown, and black. Shapes: Begin to recognize and name 4 basic shapes: circle, square, triangle and rectangle through games and puzzles. Alphabet: Begins to recognize and name upper case letters. Recognize his/her own name. Small Motor Skills: Improve eye-hand coordination with finger plays, cutting, painting, molding and building. Large Motor Skills: Involve the children in activities such as running, jumping on one and two feet, and climbing. Language Arts: To speak and enunciate clearly for age, use “finger plays” recognize some upper and lower case letters, recognize own name, know “opposite”, see “likeness” and “difference” in objects, know the meaning of the “est” words (longest, shortest), use manners, and know general and specific body parts. Weather/Seasons: Know what we wear, seasonal characteristics of animals and how they live in various seasons. Know the days of the week and begin to know months of the year. Art/Crafts: Show originality and creativity by independently using a variety of colors and materials. 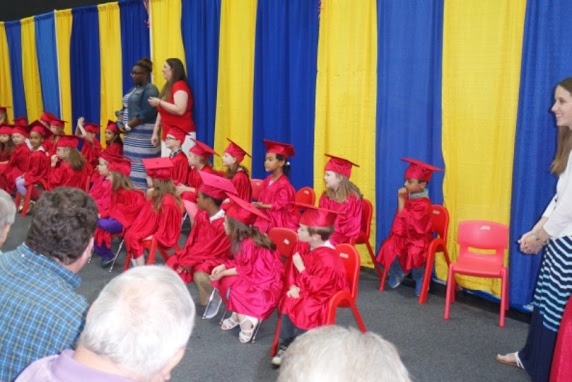 Puzzle’s Academy Pre-K program Louisville provides children with the necessary tools to be successful learners not only in Kindergarten but for many years to come. This classroom features a mix of teacher and child directed activities based on weekly themes and curriculum. Our Kentucky certified teacher prepares lesson plans to suit your individual child’s needs. All lesson plans include group, math and language activities while incorporating Spanish and American Sign language. Children are always encouraged to progress at their own pace. 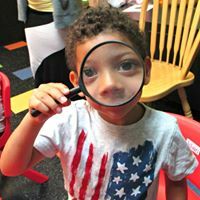 In addition to the learning environment in the classroom Puzzle’s Academy also provides opportunities for our Pre-School and Pre-K children to see the world around us by scheduling visitors from community helpers throughout the year, as well as taking field trips to local farms, museums, theatrical performances and the zoo. Numbers: Identify numbers 1-20 by grouping into set, simple addition and subtraction, and matching correct number to a set of objects. Colors: Identify ten 10 basic colors: red, blue, green, yellow, orange, purple, brown, black, pink, and white. Shapes: Identify six basic shapes: circle, square, triangle and rectangle, oval and diamond through games and puzzles. Alphabet: Begins to recognize some letters of the alphabet, including upper and lower case and beginning phonics. Small Motor Skills: Master cutting with scissors, holding a pencil and crayon correctly, molding with clay/play dough, piecing together puzzles, tracing inside and outside of a stencil. Large Motor Skills: Master running, jumping, hopping on one and two feet, climbing, and skipping. (Skipping is not always possible until age 5 or 6). Language Arts: To speak and enunciate clearly for age, use “finger plays” recognize and know some upper and lower case letters, recognize own first & last name, know “opposite”, see “likeness” and “difference” in objects, know the meaning of the “est” words (longest, shortest), use manners, and know general and specific body parts, Speaks in 5 to 6 word sentences. Sings simple songs. Weather/Seasons: Be aware of what we wear, seasonal characteristics of animals, days of the week, as well as some months. Our Before and After School Care Program is the perfect solution for your elementary school children while you work. We have a variety of JCPS buses that pick up and drop off right outside of Puzzle’s Fun Dome. Please call us 502-261-7144 ext. 22 to see if your school is on our list! In the mornings you can drop off your child as early as 7:00am and they will be fed breakfast before boarding the bus to school. After a long day at school, they will be dropped of right at our door. In the afternoon we will feed them snack and give them a chance to play in the Fun Dome and get some homework done before being picked up when we close at 6:00pm. At summer camp, your child’s day will be packed with interesting activities to keep them productive and happy during the hot summer months. Our attentive staff will create a safe, fun and creative summer experience for your child. Each day will include a different event or activity. You want the best for your child! Don’t miss out! Call today to find out more about Louisville’s most exciting summer program. 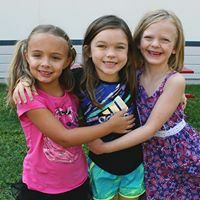 Fun, fitness, and friendship awaits your active child. Includes all meals (breakfast, lunch and snack). Friday’s are Field Trip days. Please contact for pricing.